Hey everyone, so this is a very exciting post for me – I am sharing a makeup product I have ADORED for years! It is hands down the BEST value for money product (its DRUGSTORE may I add) I have ever come across – I know there are many blog posts about this product but this is my simple two cents on the product. 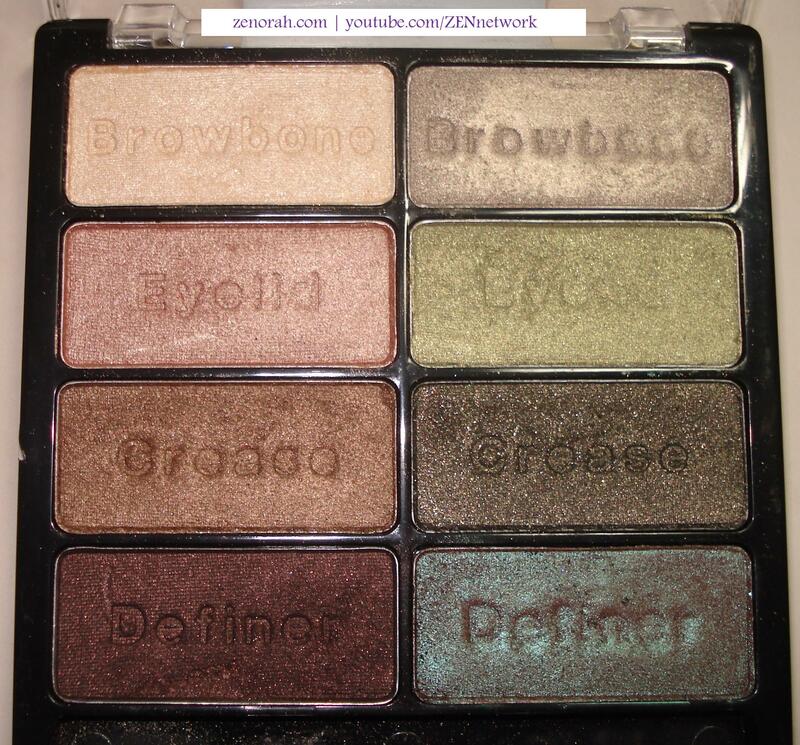 WetnWild 8-pan Palette ‘Comfort Zone’ – consists of shimmery neutral brown and green tone eyeshadows. 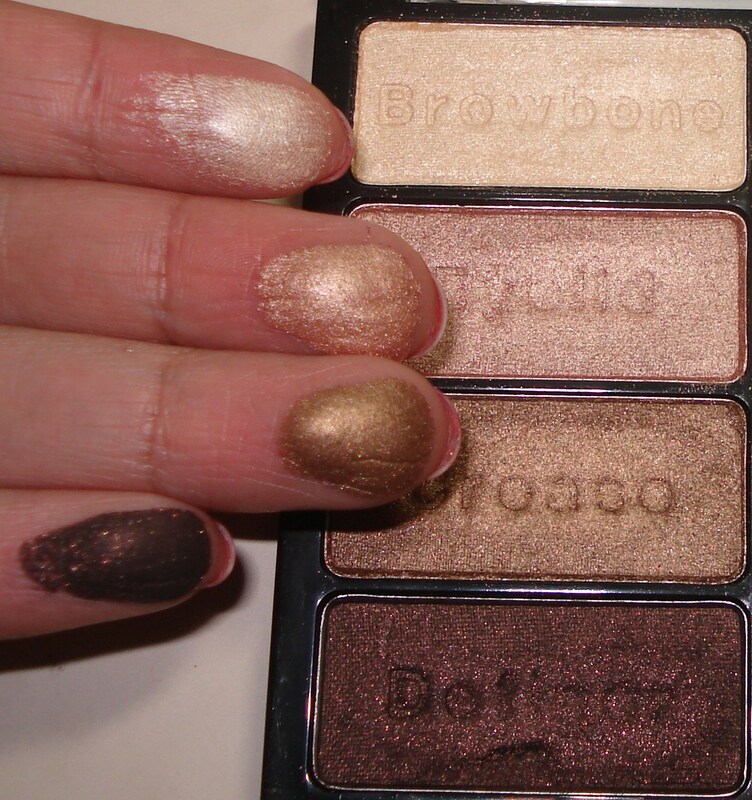 I have worn this palette as a day look and I have used it for a major smokey eye look – in fact I will be using this palette in my first smokey eyes makeup tutorial – that is how much I love it!! The pigmentation is off the charts, simply gorgeous and it does last all day on the lids with an eye lid primer (currently I am using Too Faced Shadow Insurance and it holds up ALL day long!). I highly recommend this palette if you want to try neutral shades but keeping it within a budget – in fact I think if you are a college/university girl this should be a makeup staple in your collection. This is probably my most used side of the palette and with pigmentation like that you can understand why! The palette does come with embossed terminology such as ‘browbone’, ‘crease’, ‘definer’ etc but you can use these shades as you wish – hell I always use the ‘crease’ colour on this side of the palette as my all over lid shade when I am doing a smokey eye! 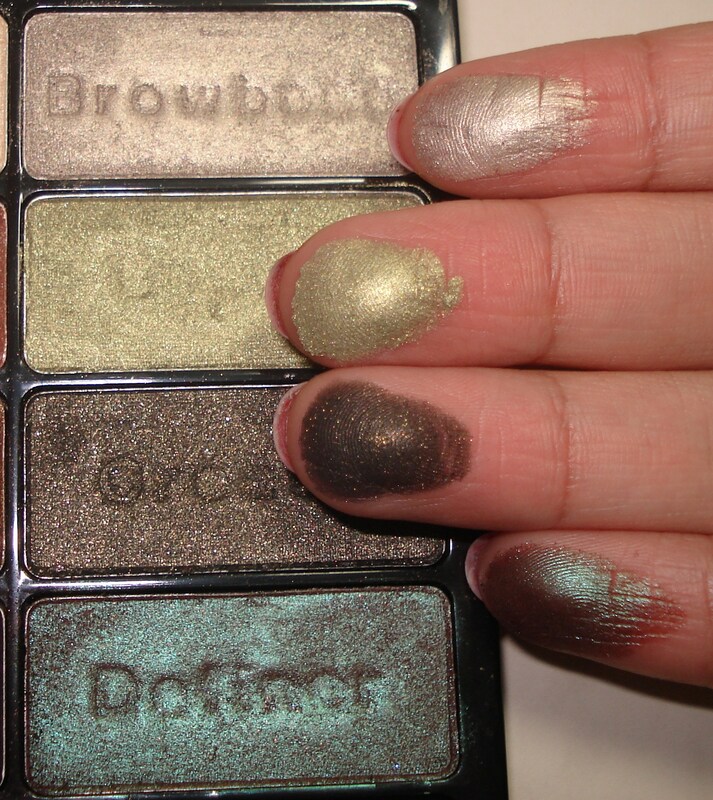 These green shadows are perfect for year round use and once again I spot some MAC dupes, the first shade is VERY similar to a limited edition eye shadow from MAC called Dalliance and the last definer shade is a dead on dupe for MAC Club eyeshadow! So you essentially getting at least $100 worth of dupes in a $5 palette – this is a no brainer purchase!!! 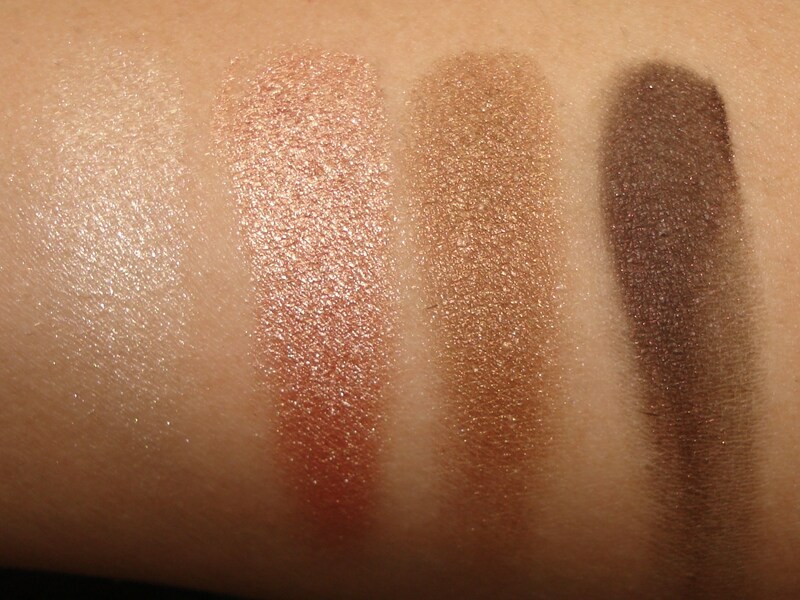 As you can see from the swatch the MAC Club dupe shade does swatch more ‘brown’ and more on the warmer side. If you LOVE shimmery eyeshadows this is a must have but as you can tell the only down side to this palette (if I am being super picky) is that there are no matte shades but for $5 dollars for 8 pigmented eyeshadows I don’t think one should complain about not having matte shades to be quite honest. You definitely need to add this on your list as a must have – infact this would make such an amazing & affordable stocking stuffer for Christmas!!! Don’t sleep on this amazing product – get it while you can the last time I checked it was still available but you never know if/when it might become discontinued. This product would last you years, is easy on your budget, looks fantastic and is on par with MAC shadows so go out and treat yourself to one. 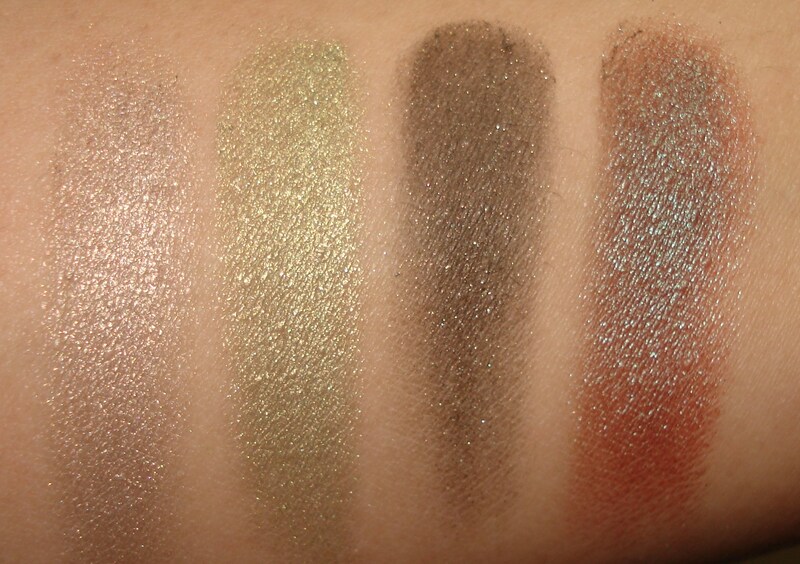 Do you own any WetnWild 8-pan Eyeshadow Palette eyeshadows? What are your thoughts on these eyeshadows? zenorah this is an awesome find and I am going to hunt for it as soon as I wake up in the am! Thank you for posting. Keep em coming. It is such an awesome palette, do you have the other 8-pan palettes? I just bought the I Heart Matte (don’t remember the new name), and the nudeish palette that are on the new holiday display, both of which I like! oh holly you NEED this in your life, trust me it is worth getting base solely on the MAC Club dupe. My all time fav palette from WetnWild. Using it almost every day!! Great post! Thank you so much 🙂 it is such a fabulous palette!